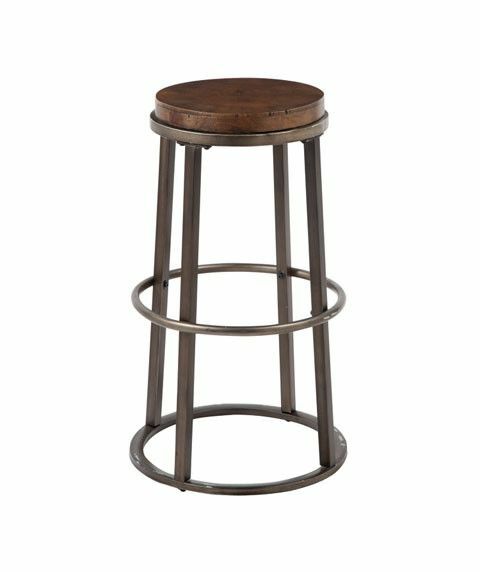 Item Description: A little bit country and a little bit rock and roll, Glosco pub height stool is a vision in eclectic design. 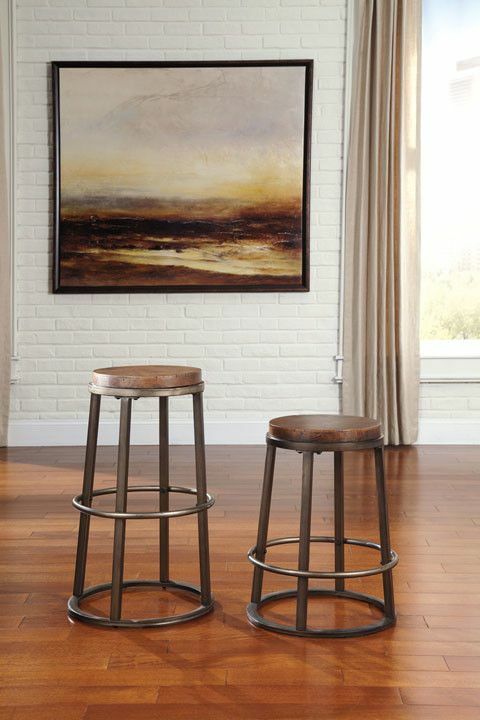 Earthy wood seat is at home among rustic decor, while a glazed metal base offers an industrial element. Together, they prove that you truly can have the best of both worlds. 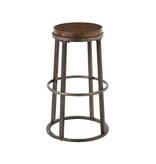 Series Features: D548-010 constructed with solid Mango wood in a planked hand worked surface and a light brown finish. The bench has hinged top to reveal storage inside. Bench base made from tubular metal in a black finish. D548-060 constructed with solid Mango wood with hand worked surface and a medium brown finish. The cabinet has tempered glass door display with shelf, fully finished drawer and open cubby and 9 bottle storage arranged in modern asymmetrical format. Cabinet has metal posts and hardware in a black finish. D548-064 constructed with solid Mango wood in a hand worked surface and a medium brown finish. The cabinet has 2 fully finished drawers and 3 levels of open slat shelf storage perfect for wine bottle display and storage. Cabinet is accented with metal bands and brackets and hardware metal in a black finish. D548-066 constructed with solid Mango wood with hand worked surface and a medium brown finish. The cart has thick top, fully finished drawer and two shelves. Cart base is made from tubular metal in a black finish and has casters for mobility. 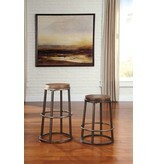 D548-024,-030 is a two-tone backless stool design with saw kerf texture on deep scooped saddle seat with modern shape. D548-410 storage bench has storage shelf under seat and is constructed of solid Mango finished in a dark rustic color with tubular steel frame in a satin black finish. D548-210 storage bench has hinged lid with stay arm and is constructed of solid Mango finished in a light rustic color with tubular steel accents in a satin black finish. D548-02 chair is made from hardwood solids in a dark brown finish and have woven back and set in brown faux leather straps.